Last week’s post discussed the issue of what to practice, so this week’s post is essentially part two -- how to practice. It’s all well and good if you know what you’re supposed to be practicing, but it means squat if you don’t have a method to tackle all of those things. As we know from last week’s post, there are a lot of things to practice. Some areas of your practice could take up all of your time. Let’s take chords for instance. 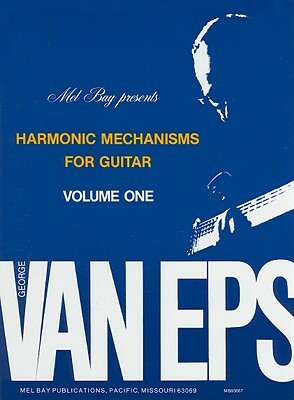 George Van Eps, one of the most genius guitar players ever, did the math for us in his book Harmonic Mechanisms for the Guitar, Vol. 1. George Van Eps (1980) Mel Bay Publications. “344 billion, 881 million, 152 thousand, combinations – Spending one second on each one of the possible combinations 24 hours a day – 7 days a week – 52 weeks a year – to reach the end of the order would take: 11,036 years…" -- George Van Eps, pg. 17. So, of course, we have to pick and choose how we spend our time practicing. We have to have some time to go out and perform, right? My suggestion is obvious: Take an evenhanded approach to practicing. In other words, spend an even amount of time on each area. Once you’ve completed your practicing for the day, you can play whatever you feel like playing. Practice the materials that give you the most amount of trouble. If you spend your time practicing only those things you’re good at, your improvement will most likely come pretty slowly. From my experience, improvement in music is efficiently gained through interaction with those materials or concepts that are most challenging. Create goals for yourself. Maybe it’s a goal to reach a certain metronome marking with a technical exercise, learn a challenging song, sight-read a sixteenth note intensive etude, or improvise over an unfamiliar/awkward chord progression. Some goals are short-term (attained in a few weeks or so) and some are long-term (attained in few months or even years). Whatever you goals may be, they will help guide your practice in the direction of constant improvement. The list of items for a good practice session is actually pretty short. Gather these items before you practice so you can proceed through your routine with as little interruption as possible. Metronome: Use this to help you develop speed and a steady tempo. You can also use the metronome to help you keep track of your improvement. Pencils: Use your pencil to write down musical ideas, create a list of tunes, tap rhythms on a desk, or throw across the room when you get frustrated. Staff paper: The perfect companion to your pencil! Use your staff paper to practice your notation skills through transcription, composition, and arranging. Recording device: Whatever you decide to use as a recording device, use this to keep a record of ideas, listen to your performance, or create a backing track for improvisation practice. The answer is simple: Take the total amount of time you’ve allotted to practice, and then divide it by five. There are five sections listed above. If you have five hours to practice, you can spend one hour on each section. At the end of the week, the hours will really start to add up. Just think, if you spent 2.5 hours per day for practice, and evenly divided your time across each of the sections, that would equal 30 minutes per section each day. After seven days of practicing on this schedule, you would’ve spent 3.5 hours on each section in a week and a little more than 14 hours by the end of the month! When was the last time you spent fourteen hours on technique, repertoire, sight-reading, composition/arranging, and improvisation? All in one month! If you adopt these strategies, just imagine how much your playing would change in just a few months. Now, of course, I must mention that it can be difficult to focus for long periods of time without any breaks. This is completely normal. I recommend that you take a short break every 20-30 minutes. Go get a glass of water, eat a cookie, or just step outside for a breath of fresh air. These little breaks can really help to restore your focus and keep you on track.